Great writers always question their style. You need to convey your messages clearly and use words that are current and simple. This style guide features useful writing tips and definitions of unusual words, which will help polish your approach. No matter how hard you try to do the best work, sometimes you need professional writers and editors. If you are covering a topic about which you have little or no knowledge, then you can hire the services of a professional writer from that particular niche. In addition, you can get your articles edited to perfection by the team. You should always find the right images to accompany your articles. Visual content is critical in attracting your readers. Don’t infringe on copyrighted images. Secure free high-resolution material from Unsplash, which provides 10 images every week to people who subscribe for free. If your goal is to become a respected blogger or content writer, you surely are aware of the importance of keywords. Soovle makes your search for the most popular terms much simpler and more effective. Type in a term related to your niche and you’ll find the most important keywords for Google, Amazon, Wikipedia, Yahoo, Bing, YouTube, and Answers. Can’t think of a title for your next post? Use this tool. Enter any word into the generator and receive a suggestion to inspire you. If you don’t like the result, just hit refresh and the generator will offer a new title. Some of the suggestions might be nonsense, but at least they will make you laugh. All writers are prone to clichés. You get used to certain phrases and use them intuitively in your text. This engine helps locate words and phrases to replace in order to make the content more creative. Does your mind encounter writer’s block when you need to draft an important article? Ilys can be a useful tool. It asks how many words you need to write, then forces you to work progressively on the content until you achieve the word-count goal. Only then can you go back into the text for editing purposes. 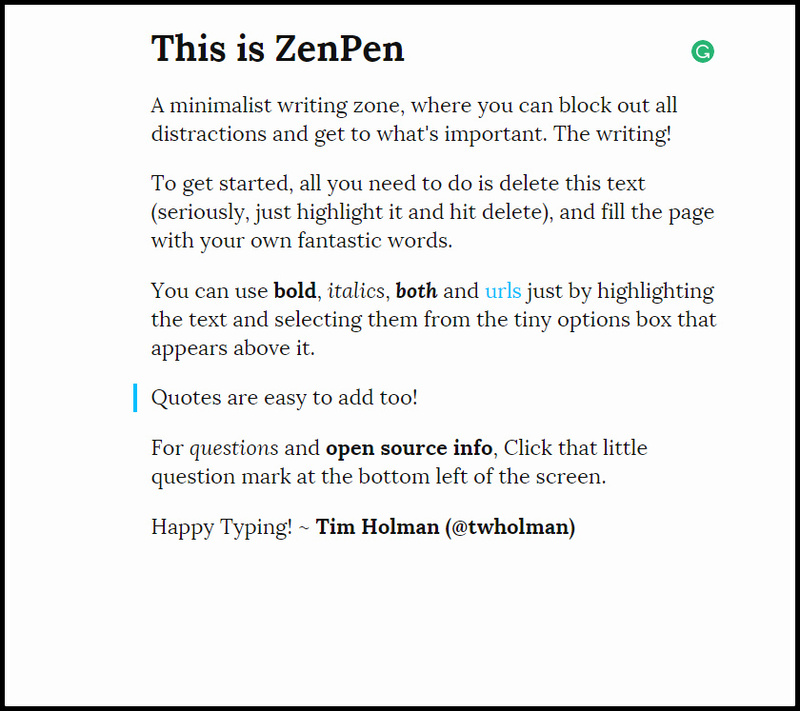 It’s hard to stay Zen with all the distractions in your writing software and everywhere around you. 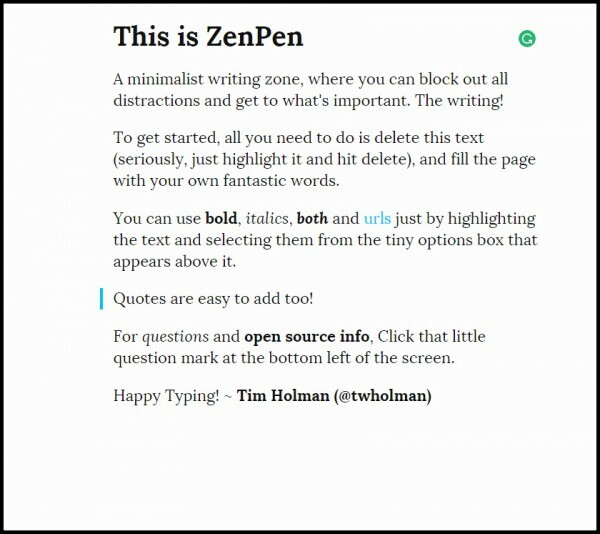 ZenPen is a minimalist writing zone that keeps you focused on the important task. You get a blank page that’s waiting for your words; there is no greater inspiration than that. The tiny option box won’t be a distraction. You can’t become a better writer if you ignore grammar. 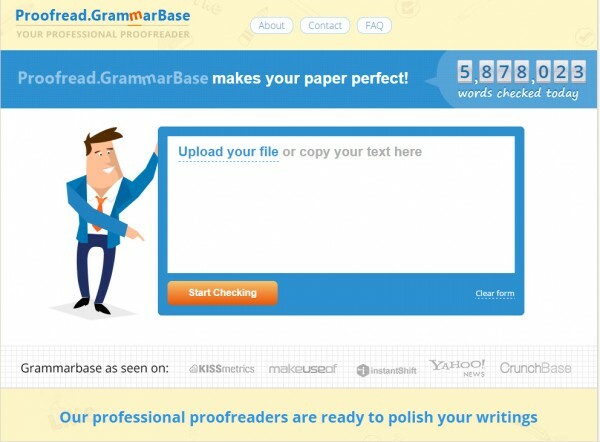 Proofread.GrammarBase is a great tool that helps you locate the spelling, grammar, and punctuation errors in your content. Its powerful grammar-checking algorithms have been developed by some of the leading experts on linguistic technologies. Do you like using smart words and long sentences? You are probably frustrating your readers without realizing it. Hemingway helps you improve the clarity in your text by identifying long, complex sentences and common errors. 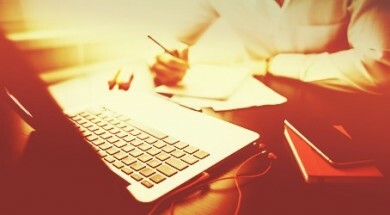 Want to grow your content creation skills? 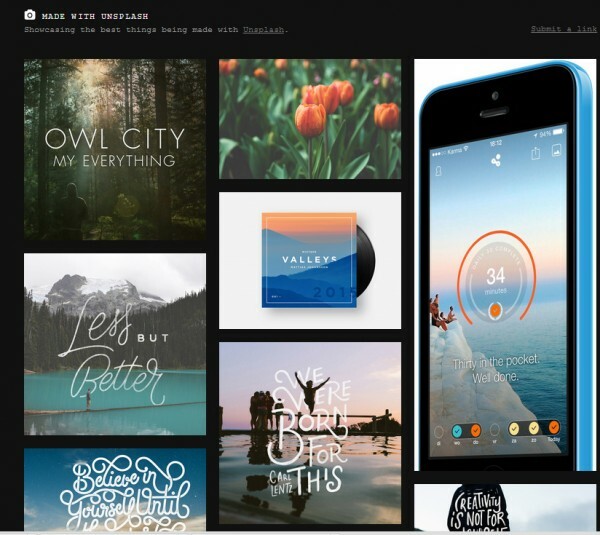 Visit CMI’s Content Creation Hub for valuable resources and insights.